While our team was in Nicaragua this year, we ventured out from Padre Ramos to a neighboring village called Los Zorros. The ministry has been expanding over the last several weeks and our team got the privilege of helping share food and the Word of God with some of the local villagers who live in this remote part of Nicaragua. 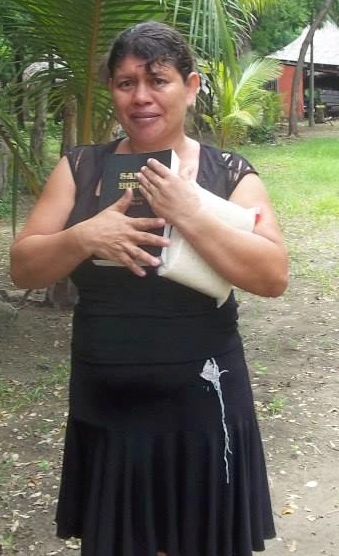 I am highlighting this woman because of her response to our team as we handed out Spanish Bibles and rice. Even though I was not there with this team, her story has evoked some penetrating thoughts for me to consider. You see, when our team handed her this Bible, she immediately began to cry and then she uttered some powerful words in spanish. When translated we heard that she said: “this is the greatest blessing I have ever received”. Next Next post: Up To Know Good?